We have raised a PMR with IBM (#72365,000,834). IBM has confirmed that the fix will be out in WebSphere Portal 8.5 CF12. Users are unable to switch to projects that contain spaces in their name after they have access an anonymous page (without “myportal”). The behavior will persists until he/she has log out. Do take note that this behavior is only observed in WebSphere Portal CF 10. Why would a user remove “myportal” from the url (in case L2 asking for use-case scenario again..)? This is to simulate editors clicking on one of the relative links in the contents (for example a relative link (/contact-us) in “About Us” page that links to a “Contact Us” page). 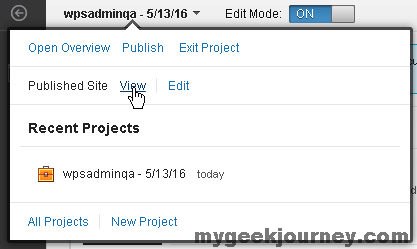 An editor might click on “contact us” link to verify the link before switching to a project. *IMPORTANT* Ensure you have follow the instruction in “Changing the site URL after an installation” article to remove the context root and you are using WebSphere Portal CF 10. 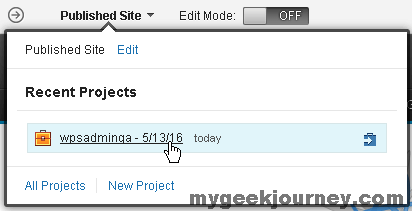 Create a new project by clicking on the “New Project” link. 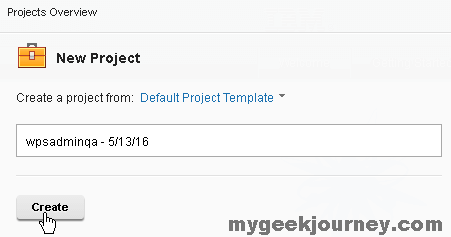 Use the default project name which comes with a space. Click on “Create” button. Switch back to Published Site. 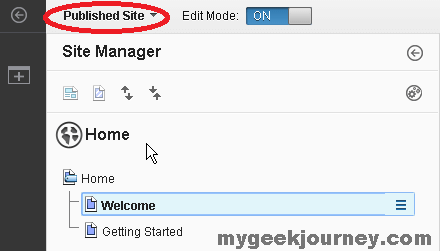 Remove “myportal” from the url and press Enter. Now switch to the project that you have created earlier. You will realize that it will remain as “Published Site” even if you tried to insert “myportal” back. Previous PostWebSphere Portal Bug: Portal Theme “Breaks” in IE Local Intranet Security SettingsNext PostHow to Change WordPress Default Upload Folder?